Out NOW on iOS and Android. Only £1.49. Finally it's time to go up against TV's most iconic clock! 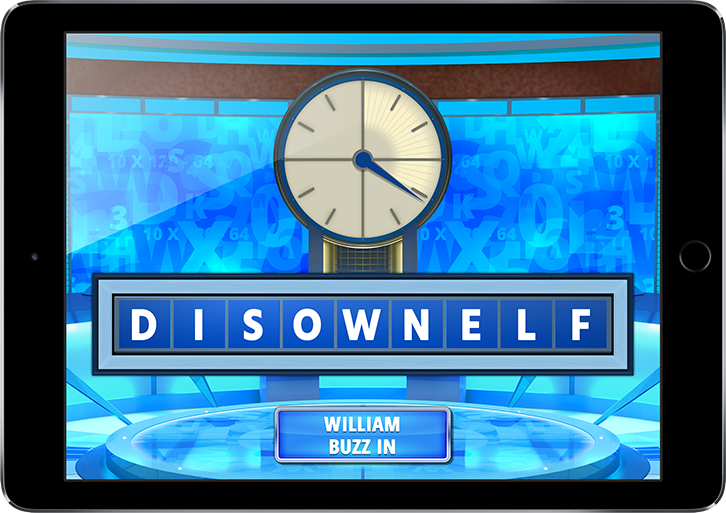 Compete in all three Countdown disiplines: The letters round, the numbers round and the famous Countdown Conundrum. and © ITV Studios Limited 2015-16. Licensed by ITV Broadcasting Limited. All rights reserved. Software © 2015-16 Barnstorm Games Limited.